When I started the first waaay back I just couldn’t get into it, kept stopping, putting it aside and finally gave up. Fast forward about three months and I was looking for something new to read. I’d really liked the sound of this, felt a perfect fit for me and I was disappointed I hadn’t got into it so decided to try again – and became hooked. There have been comparisons to the All Souls trilogy by Deborah Harkness, but I feel that does both books a disservice. To me they are both very great reads, have a paranormal/thriller aspect, a romance and they span several books with an ever growing cast, but the comparison stops there. As a story they are so very, very different. There a brief recap at the beginning, and as so much has been covered in the last four books I found that really useful. Its not a complete rehash, just a few pages reminding the reader of the important details. What I would have liked to see in each book is a cast list. I did keep getting Matthew’s family confused, with who was who – son/daughter/granddaughter/niece/nephew etc. For practical reasons Matthew had to pretend to be other than the oldest, looking as he did. Read the last in a trilogy recently where the romance didn’t end in a HEA or even a HFN and was so gutted. It was a great ending, just not the one I ( along with other readers) expected or wanted. Ms Dunn does it though, and in such a perfect way, bringing the story full circle, and now the first and last titles make sense to me! I like endings that feel real, that feel as though if X was possible then Y is a natural conclusion. 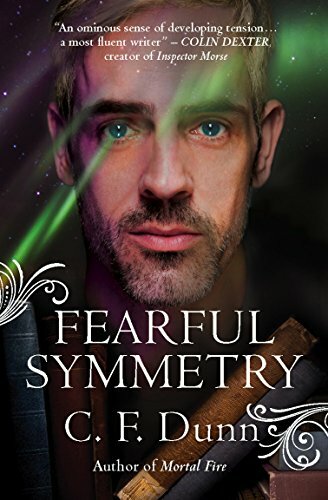 Yep – even in fantasy and paranormal reads I have to feel that things could happen as we read, that if people like Matthew and his family existed then things could happen in the way its written. Its a book that spans several years, with Matthew always searching for answers, Emma still pursuing her research and university work, but their family is always changing and extending. There’s the issue of Ellie and her pregnancy to deal with, Maggie’s very clear hatred of Emma, Emma’s family that have to be kept free of all the secrets, along with their freinds at uni too. It’s a tough time, always watching what she says and does, and Emma finds it very hard. Then it seems like the dangers they’ve always worried about, the fear of discovery and what will happen to the family is finally catching them up. Its a scary time, Matthew doesn’t want to move them too soon, creating new identities and finding them homes and work, but also he has to not wait too long. They have to be ready to run at any time and that puts a huge strain on a family already bending under the burden of so many secrets. Its another read full of discoveries and surprises, all the old characters we’ve met so far, Matthews ever growing family, and the story builds upon the previous books. When I think of the Emma I first met in book one it seems she’s come such a long way, grown so much through her at times horrific experiences. Matthew never really seems to change and I so feel for him, he’s full of guilt for the burden the secrets have put on his family, and he’s so full of love for them all. The finish is perfect, doesn’t come racing up, but graduates all through the book, with little parts falling into place just at the right moment. I am so in awe of somoene who can write a story like this, where tiny moments, throwaway remarks from parts of the story in earlier books suddenly turn out to have been leading up to major revelations. That takes immense plotting and must mean a wall full of notes and cross references!! I have enough trouble keeping my normal life organised, and planning how to fit things in, doing a fictional one with much less restrictions would be a nightmare for me, but I’m so glad others can do it, and do it well, giving us these perfect, dense and complex stories. Stars: Five, incredible finish, perfect ending and one to savour and reread right through all five books.